There are so many different types of glaucoma, and all of them work in different ways. 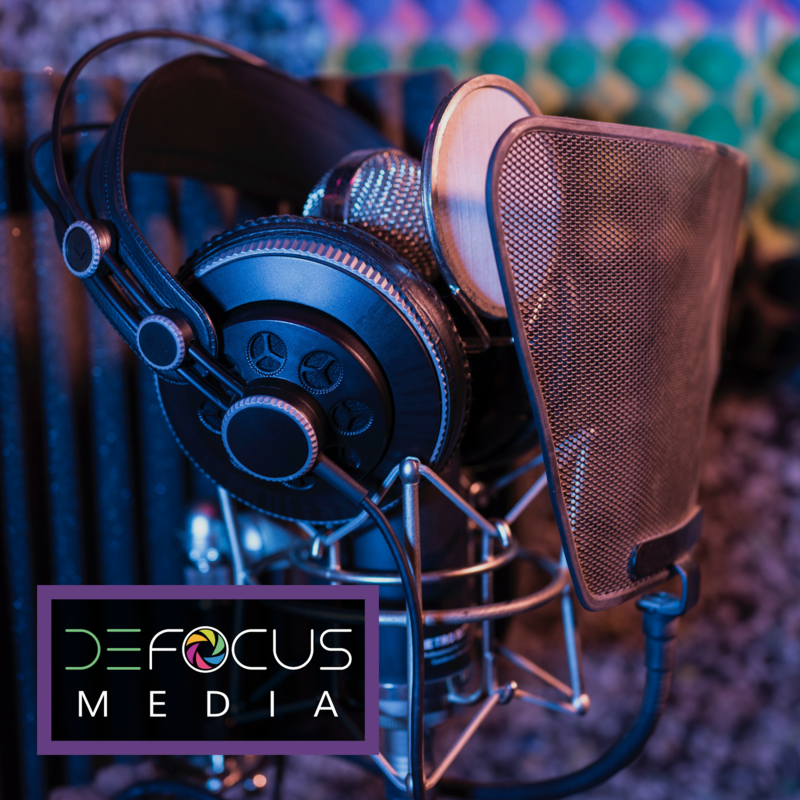 One thing unites them all: the optic nerve that delivers the message from the eye to the brain is destroyed. The destruction is most commonly slow and painless, but in some types of glaucoma can be very quick with acute headaches and halos around lights. Damage to the optic nerve causes PERMANENT vision loss, and that is why glaucoma is such a devastating ocular disease. To simplify this discussion, let's talk about the most common form of glaucoma: primary open angle glaucoma. Glaucoma typically is caused by high pressure building up inside the eye. There is a fluid called the aqueous humor that is made to deliver nutrients to the internal components of the eye. If too much fluid gets made, or if too much is retained inside the eye instead of draining out into surrounding tissue, then the fluid builds up in the eye. This creates increasing pressure pushing against the back of the eye and the delicate optic nerve. Every time you visit your eye doctor, a pressure reading is taken. Most commonly an "air puff" is used, but there are also sophisticated hand-held and microscope attached instruments called tonometers that can be used. Pressure is measured in mm of mercury (mmHg). Average pressure is 10-21 mmHg. Typically numbers over 21 are considered elevated, and thus suspect for glaucoma, but there are varying factors that may affect these eye pressure readings. Your doctor will investigate further if your pressure is reading high. Most offices use retinal photographs to show patients what an eye disease looks like, but glaucoma is a disease that is not easy to "see." 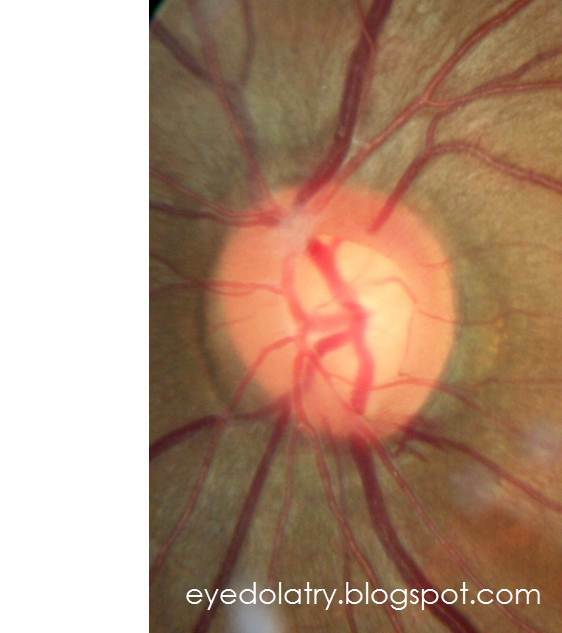 What your doctor looks for to detect glaucoma is atypical appearance of the optic nerve. 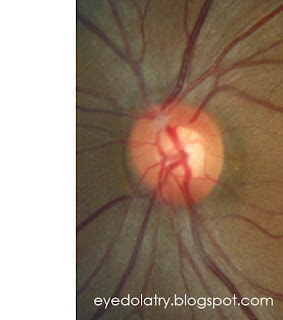 Everyone has a hole in their optic nerve where blood vessels pass through. The average person has a hole that is smaller than half the diameter of the nerve (is that complicated enough??). The photo above shows a normal, small hole. The larger the hole, the generally more suspicious it is for glaucoma. Here's the thing, everyone has a different size optic nerve and a different size hole that can be entirely normal. In the average eye, the size of that hole is constant through life. 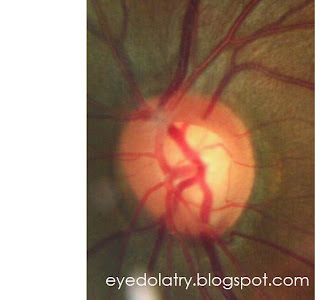 In glaucoma, the size of the hole in the nerve will get LARGER with time, because the nerve tissue is getting destroyed. This is why taking routine retinal photography is such a great option, and why everyone should be routinely examined by their eye care professional even if they don't have vision trouble or had no eye diseases several years prior. Glaucoma is PROGRESSIVE, which means you might not have it today, but you may have it in a few years. The only true way to detect it is by monitoring for changes. THE PROGRESSION OF GLAUCOMA. All of the photos below are of the same eye of the same patient, over a course of 9 years of retinal photography. Please ignore that the magnification gets bigger in every photo. 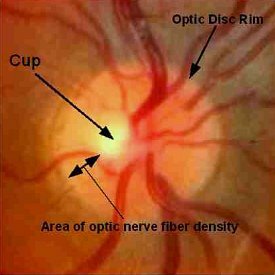 Just compare the size of the entire optic nerve to the size of the cup (or lighter colored hole) in the center of the nerve. If you are an optometry student and look at this and get concerned, yes this person is being treated for glaucoma and is under the care of an ophthalmologist. 2012: Even thinner at the inferior edge of the nerve!! Glaucoma is an eye disease that causes optic nerve damage. Glaucoma treatment may include prescription eye drops, laser surgery, or microsurgery.